This step by step guide offers instructions on how to generate a CSR Code and install an SSL Certificate on F5 products, namely F5 BIG-IP and, F5 FirePass SSL VPN. As a bonus, we’ve also included a brief history of F5 Networks, as well as tips on where to buy the best SSL Certificate for your F5 appliance. If you’ve already created the CSR request, and are only looking for installation guidelines, use the links below to jump to the corresponding section. 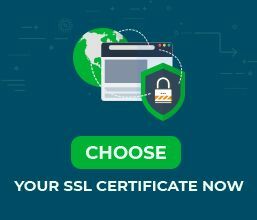 Where to buy the best SSL Certificate for F5 products? The CSR (Certificate Signing Request) code is a block of encoded text with your contact data such as domain name and company information. You need to generate it as part of the SSL order process and send it to your CA (Certificate Authority). Along with the CSR, you will also create your Private Key. Keep it safe, as you’ll need it during the SSL installation. Note: If you have a wildcard certificate, add an asterisk in front of your domain name (e.g., *.yourdomain.com). Verify the information you’ve just submitted and click Finished. You’ve successfully created your CSR Code. Now, you can download it on your system by copying the CSR contents from the Request Text box. You can save it to a text document, or paste it directly into your SSL order. Make sure you include the —–BEGIN CERTIFICATE—– and —–END CERTIFICATE—– tags. Double check the info you’ve just provided, then click Generate Request. Now you can click the Here link to download your CSR Code and Private Key. Extract the files from the ZIP archive and open .csr file with any text editor such as Notepad. You will need to copy-paste the full CSR content, including the BEGIN CERTIFICATE—– and —–END CERTIFICATE—– tags during your SSL order. These files usually reside in a ZIP folder. You need to download it and extract the files on your device. Next, repeat steps 3,4 and 5 to upload the intermediate certificate. Select the SS Certificate that you’ve just installed. 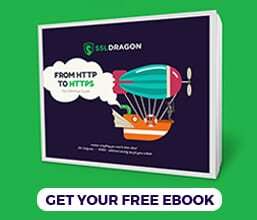 Congratulations, now you know how to install an SSL Certificate on F5 BIG-IP load balancer. Prepare your primary and intermediate certificates. Use an FTP client such as FileZilla to move your primary and intermediate certificates from your local device to your F5 BIG-IP platform. Rename your primary certificate to your.domain.name.crt and copy it into the /config/bigconfig/ssl.crt/ directory on your F5 BIG-IP device. That’s it. Your SSL Certificate is now up and running on your platform. Once the CA signs your SSL Certificate and sends the SSL files to your inbox, you can continue with the installation. In the Optionally, put your intermediate certificate chain here (in the PEM format) box, paste the encoded contents of your root and intermediate certificates and click Go. Note: If you receive the error message ‘Your Certificate chain cannot be fully verified’, please refer to this article. F5 FirePass SSL VPN host will restart now. Congratulations, you’ve successfully installed and configured your SSL Certificate on F5 FirePass SSL VPN. After you install an SSL Certificate on F5 devices, you should run an SSL scan to look for potential errors or vulnerabilities in your configuration. For more info, check our article on the best SSL tools for testing an SSL Certificate. F5 Networks, Inc. is a multinational company specializing in application services and application delivery networking. The “F5” name is inspired from the movie Twister and is a reference to the fastest and most powerful tornado on the Fujita Scale: F5. F5 BIG-IP load balancer is the first ever product launched by F5, in the distant 1997. F5’s BIG-IP product family consists of hardware, modularized software, and virtual appliances based on the F5 TMOS operating system. At the time of writing this article, the latest F5 BIG-IP versions is 14.0. F5 Network’s FirePass SSL VPN allows users to secure remote access to a large number of apps and devices. On top of that, it also offers security to intranet resources, by preventing unauthorized device access. The F5 FirePass SSL VPN supports connectivity to any TCP/IP-based application, provides direct setup and management, and enforces endpoint security.